If you recall, part 1 was a flannel blanket; part 2 was adorable burp clothes. Do you want to get an ooooh..ahhhhh... out of every mouth at a baby shower? Make adorable shoes. That's it. People will freak. This shoe type is common and there are a ton of patterns out there. My inspiration and first pair came from a very simple pattern for FREE on the blog stardustshoes posted on Michael Miller Fabric's website. I am proud to say that I've finally put together my own pattern and tutorial tutorial here! Check it out! This was my very first pair. I remember when I finished them I literally jumped for joy they were so adorable! I made them for a friend who has a love affair with owls and an adorable little gal so I couldn't wait for her to see them. Since then, I make a pair any chance I get. Once you've invested in the fusible web and lining fabric, you can really just make them with leftover scraps of any project. The stardust pattern is for 0-6 months (which is truly more like 3-6 months). The trouble with making anything sized for babies is that they grow out of it so darn quickly. I've experimented with making the shoes in a variety of sizes and resizing them is actually pretty simple. I've made a few shoes for kids 12 months and up used gripper dot fabric for the bottom sole so that they're not on a slippery surface if they are standing or walking. Love this! ...but watch your sewing machine with that fabric. I broke a few needles on my first pair. Enough with the writing... let's just oooh, ahhh at some adorable shoes. These links didn't get me very far. A tutorial would be great! Here it is! Sorry it took me FOREVER to complete it! Thank you so much! Tutorial coming soon! Those are pretty! Thanks for sharing these information. Very helpful and creative indeed. The link to the pattern is dead - how's your tutorial coming? sorry...typo....I did find it there...thanks you very much....you've made some very cute shoes....I can't wait to try my skills...I hope it is really easy....thanks again. So glad you guys enjoyed my post! Thanks for your patience in my following up with a tutorial! just wondering if you have tried sewing this by hand, or would it be too difficult... I am new at sewing and don't want to go out and by a sewing machine just yet. do you have any recommendations on the sewing needle size if I were to do this by hand? I've never sewn it them by hand… but there aren't that many seams so I could see doing it carefully so that everything stays together. I'd probably work with a smaller needle to keep your stitches close together. It's a gripper dot fabric. You should be able to find it with utility fabrics at your fabric store or online (https://www.fabric.com/buy/el-274/15-grip-tight-cloth-white). It's a little hard to sew with but I trick I use is to sew it with paper over it so that your presser foot glides smoothly on the paper and doesn't stick on the fabric. Lovely Shoe collection you have got. I was also searching for baby shoes and I find your blog. Thanks for publishing and sharing. Have one done - enlarged the pattern for length, but had to trim down the width of the sole & upper and height on upper. The first one is super cute, and I can't wait to get these done for DD's Christmas present! They'll definitely be a baby shower go-to gift from now on! It’s a good idea to buy clothing that’s 100% combed cotton. It doesn’t matter if they’re preemie clothes for girls or boys. 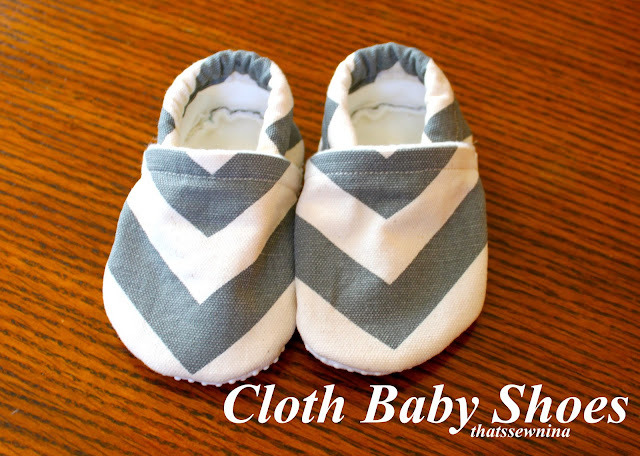 Your baby should be very comfortable and soft material will help a lot. Have you used duck cloth for these? Or calico prints? I fall in love with your share. Great post. Thanks so much. I really love this pattern and tutorial...but, I have a question. When you resize the sole in .5" increments, do you resize the upper and heel pieces too in .5" as well? ... Just wondering. I'm so happy I found your blog! Thank you! They are bigger than I thought but my daughter will be able to wear them soon enough.